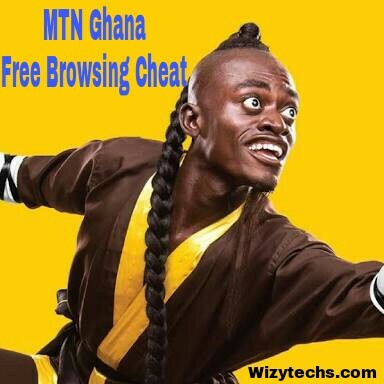 If you are in Ghana, get an MTN SIM and your Android smartphone to enjoy this Ghana free browsing cheat 2018 with the AnonyTun VPN Settings on this post. Don't dull yourself because this type of opportunities doesn't come frequently. This MTN Ghana cheat is unlimited meaning, there is no limit to whatever you can download, video you can stream or websites you can access as long as this MTN free browsing cheat is working. For those that are asking how to enjoy this MTN cheat on their laptops and PC, you can use an app called PdaNet for PC and you are good to go. 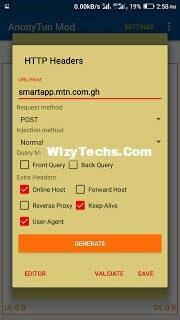 This is how the cheat works; with the help of AnonyTun VPN, we bypass this MTN Ghana host url "smartapp.mtn.com.gh" and automatically assign a new IP from a different location to trigger network connections and communications between both servers. With this method, the ISP will be blindfolded on what's happening behind the scenes hence allowing you to browse as you like. But Note that the cheat may stop at anytime once MTN deciphers the loophole but before then, just enjoy this awoof now. You can recall that last year, we also shared Ghana tweak which allows MTN GH subscribers to enjoy a whooping 50GB free data for a period of 6 months. Today, we are sharing an even better alternative to lasts years cheat. All you need is to follow my guidelines below and you will be glad you did. ✔️ Download the AnonyTun VPN from the link above and Launch it. ✔️ Now tap the Generate button to save your settings. ✔️ Finally select any region and tap on CONNECT to start enjoying unlimited free browsing cheat today in Ghana.